Rockwell Automation, the world’s largest company dedicated to industrial automation and information, has celebrated the 20th anniversary of its software research and development campus in Dalian, China. Rockwell Automation has been one of the first multi-national companies to set up global software R&D facilities in Dalian, which is a testament to the company’s commitment to the China market and firm confidence in “Innovation in China”. The last two decades saw the Dalian campus evolve from a two-engineer operation to the company’s largest software R&D centre outside the US, which focuses on new product development and innovation. “I continue to be impressed by how our Dalian campus has evolved into a truly great asset for our global R&D capabilities, providing support not only for our global customers, but also serving local customers in China. China is a strategic and important market for our continued global success, and it is our long-term strategy to strengthen our innovation capabilities in China and cultivate more local talent to better serve the China market,” said Keith Nosbusch, Chairman and CEO of Rockwell Automation, in his opening remarks presented at the morning event on 9 July. At The Connected Enterprise Forum held that afternoon, Mr Nosbusch introduced how the convergence of control and information technologies coupled with new technologies — such as mobility, cloud and big data analytics — are reshaping the manufacturing landscape. 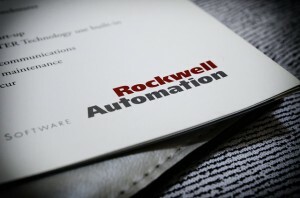 The Dalian campus will play a significant role in supporting Rockwell Automation’s vision for The Connected Enterprise. “The arrival of the Internet of Things is creating new opportunities in industry and the manufacturing sector. These opportunities grow out of the rapidly-increasing demand for consumer goods, infrastructure and natural resources in China due to the rapid urbanisation that will see 225 large- and medium-sized cities in China among the world’s top 600 by 2025, as well as the pressing need to improve energy efficiency in Chinese manufacturing. Industry accounts for more than 70% of total energy consumption in China 2. Facing these mega trends and transformational forces, it is no longer enough to simply automate machines and processes to have them run faster and produce more,” he said. “To remain competitive, nothing can be isolated anymore. Manufacturers now need to connect smart devices, machines and processes across the whole plant floor, tightly bridge their manufacturing facilities to the rest of the enterprise, and link the entire supply chain. This will require moving from simply automating labour to leveraging information; changing pockets of expertise to global collaboration; and mitigating risk by transitioning systems from open to open-and-secure. We call this vision — The Connected Enterprise,” added Mr Nosbusch. Headquartered in Milwaukee, Wisconsin, Rockwell Automation employs over 22,000 people serving customers in more than 80 countries. 60% of the employees at the Dalian Campus hold a Masters degree or more. Through the Rockwell Automation University Partnership Program, the campus partners with a number of local universities to cultivate talent. Rockwell Automation has invested RMB 9 million to establish three joint laboratories with the Dalian University of Technology, Dalian Maritime University and Dalian Nationalities University in Northeast China.